It's more than a job. We are commited to helping you create a healthy lifestyle. Dr. Jason Leach is a chiropractor and massage therapy clinic serving Lafayette, Louisville and the surrounding area and he has been treating back pain, neck pain, sciatica and headaches locally for over 17 years. In fact, all of the providers at our health clinic are passionate and knowledgeable. Whether you're in need of pain relief or want health maintenance care, our family friendly environment and staff are here to help! Your local Lafayette chiropractor. Visit our testimonials page to find out what our patients are saying about us. For more information or to schedule an appointment with us call 303-604-2600 today! Have you been in a car accident? 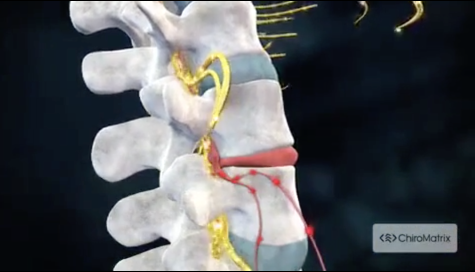 Are you suffering from neck pain, sciatica, headaches, back pain or lumbar pain? We're your Lafayette chiropractor and we're here to help! If you're looking for a local chiropractor, local massage therapy, a chiropractor near Louisville or other health care services you've come to the right place. Here, at Baseline Chiropractic we've been helping local folks with their healthcare needs for 17 years. Let us help you feel better and live your best life! Join our massage program & receive your first massage FREE!!! Includes exam, consultation and adjustment. Sign-up using this form. Or, call us at 303-604-2600 to take advantage of this exclusive offer.